The Yamaha Star Eluder is one helluva cruiser/bagger, and was one of our favorite bikes in our Big Dam Tour: Seven Baggers for Seven Brosephuses. 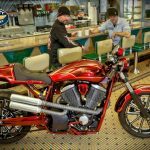 Cory Ness, legendary custom bike builder Arlen Ness’ son, seems to think so too, and he built a custom Star Eluder of his own. He calls it “Journey Further”. 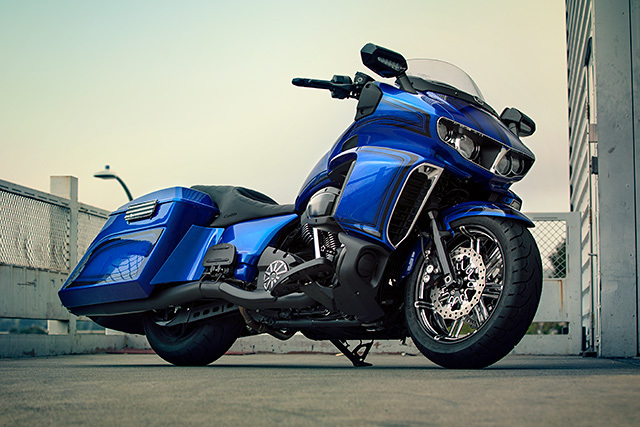 Cypress, CA – June 15, 2018 – When Yamaha introduced the Star Eluder as the ultimate V-Twin bagger, the allure of customization potential was shared by custom bike builder Cory Ness. 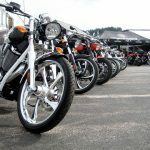 Son of legendary custom builder Arlen Ness and President of Arlen Ness Motorcycles, Cory Ness is no stranger to creating custom motorcycles and products. Three generations of the Ness family have been heavily involved in the motorcycle industry for nearly 50 years, and with Cory at the helm, Yamaha formed a partnership to create the custom “Journey Further” Star Eluder. Cory Ness got his first taste of motorcycle customization as a child in the living room of the family’s house, where he watched his dad, Arlen, build amazing creations. Over the years, Cory’s interest in customizing motorcycles continued to grow, with his dad helping him to learn the art of hand-crafted fabrication. Cory began developing his own style and applied a clean “in-your-face” look to the motorcycles he created. His approach to customization begins with making accessories functional, serving to improve the bike, and then he adds flair to both the accessories and the bike. 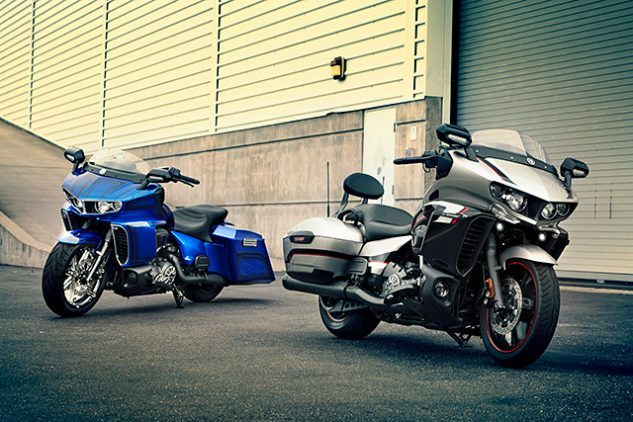 Yamaha’s Transcontinental Touring slogan of “Journey Further” embodies the spirit of the Star Eluder, which combines powerful performance with ultimate comfort features and technology to allow riders to journey further than ever before. Cory Ness did not compromise on the values of this spirit when building his custom bike. When first seeing the Star Eluder, Cory noticed the wide front end of the motorcycle and its low stance. He decided to emphasize the look by using a wider front tire (180mm) mounted on a billet aluminum wheel. To accomplish this, he had to widen the stock front fender and notch it out to allow for the necessary clearance. Cory wanted to give the rear end of the bike a “Ness twist,” making it lower and longer. 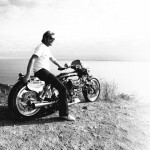 Along with a billet aluminum rear wheel, he added a Ness-designed rear fender and saddlebags, a Corbin Seat and the new billet aluminum Arlen Ness Accessories developed specifically for the Eluder. As always, the details were important, so Cory blacked-out some sections in order to let the custom blue paint and accessory details really pop. The Star Eluder provides a great platform for bolt-on accessories, and Cory Ness worked with the goal of designing a series of bolt-on accessories that would be available for Star Eluder owners. 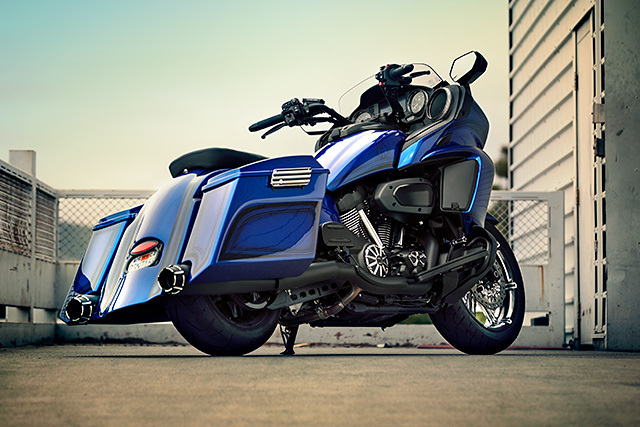 To find out more about the “Journey Further” Star Eluder by Cory Ness visit https://www.yamahamotorsports.com/transcontinental-touring/pages/star-eluder-by-cory-ness. 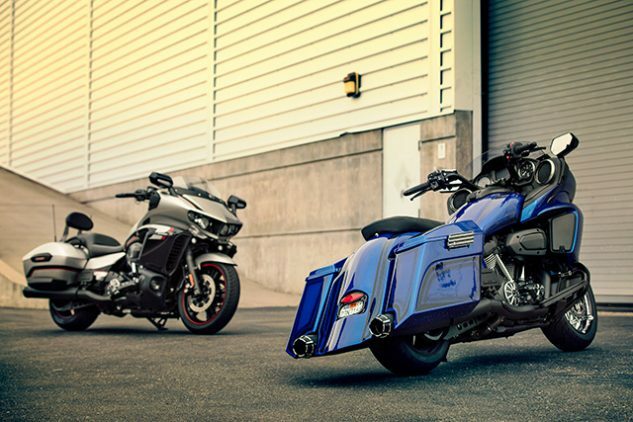 For more information on Arlen Ness Signature Custom Billet Accessories, visit your local Yamaha Dealership or www.ShopYamaha.com. 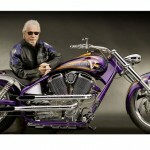 For more information on Arlen Ness Motorcycles, visit www.arlenness-motorcycles.com. 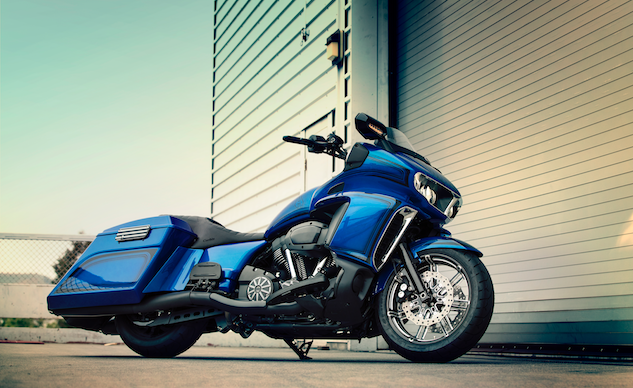 To find out more about the Yamaha Star Eluder, visit https://www.yamahamotorsports.com/transcontinental-touring/models/2018/star-eluder. 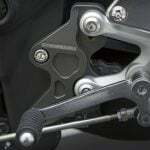 More information related to all Yamaha products can be found at https://www.yamahamotorsports.com.